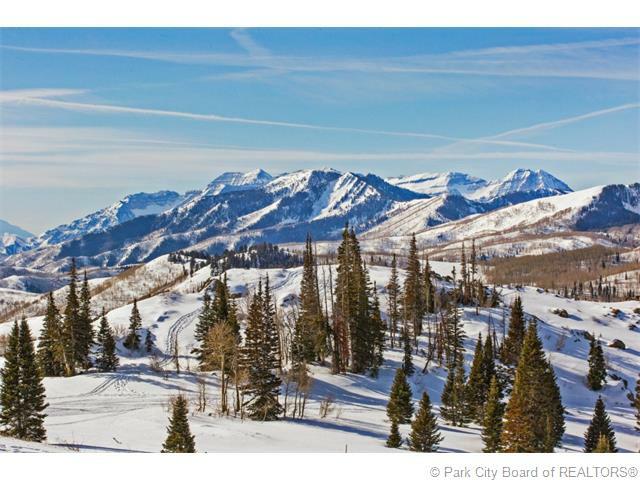 AJ's Deer Valley Real Estate 2016: Snow, Bald Eagle Auction, Talisker Sheriffs Sale, and Silver Lake condo sales! Snow, Bald Eagle Auction, Talisker Sheriffs Sale, and Silver Lake condo sales! More snow! 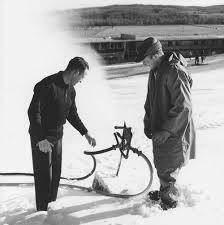 Snowmaking is under way at Deer Valley. (Well, this is the way it looked in the 50's anyway) Looking good so far! Go El Nino. However, as always, Deer Valley opens no earlier than their scheduled day no matter how much snow! Smart economics. This year it is December 5. Park City opens this weekend!! High end auctions are usually not distress sales by any stretch. They simply generate interest and the "illusion" of getting a great deal. This home is currently an active $10.9m mls listing and Seller has not dropped price at all during the listing. You can see details by clicking the photo above. 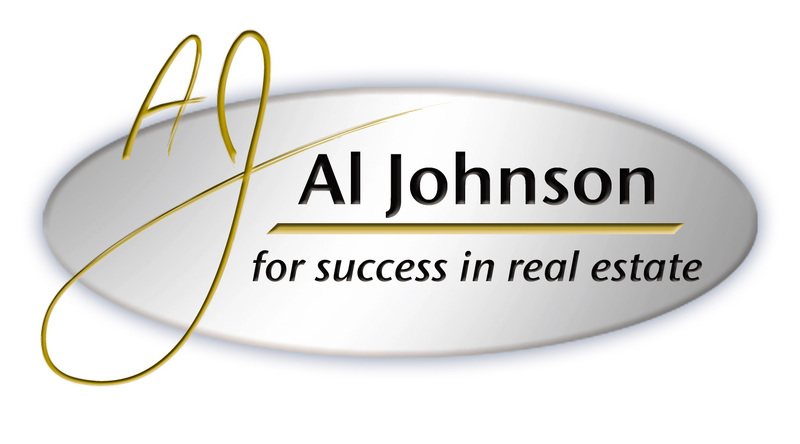 The home can in fact can still be purchased prior to auction to beat out the auction goers. One would need to guess what the Seller expects to get at auction and meet that expectation prior to the auction date. Interesting poker game. At the least, there would certainly be a good discount from list price! Talisker Sheriff's Sale. 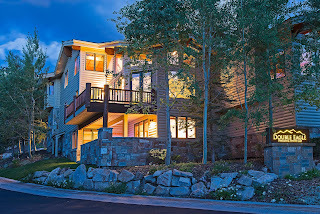 Talisker is a Toronto Based development group that has successfully developed and sold numerous properties in the Empire Pass area of Deer Valley, and owns the land under Canyons Resort, and also the Tuhaye Golf Community. Recently Wells Fargo Bank foreclosed on $165M of debt collaterallized by various pieces of Talisker owned land, the most interesting of which are 10 high end homesites at "Red Cloud" in Empire Pass, and several development parcels at the base of Deer Valley's Silver Strike lift. I attended the Sheriff's sale today. This highly anticipated sale, probably one of the most significant real estate events in recent Park City, took about 60 seconds! A: The Sheriff opened the bidding to the public. B. A Wells Fargo rep bid $35M. C. With no other bidders, the Sheriff said, "Sold to Wells Fargo for $35M" That was it. No Talisker. No Deep pocket Chinese or Saudi Royalty. No Developers. Just the bank. Now what's next? There are probably people already in discussion with Wells about purchasing some of the parcels and lots. Red Cloud lots are currently listed between $3.3m and $4.5M on the active market, three of which were in today's sale. Ten Red Cloud lots are worth about $30m alone! So going forward, Wells will probably re-deed each property in their name, and go about selling them. Not sure how or when, as they have been tight lipped. Stay tuned! Silver Lake Condo market strong. Year to Date condo sales in the Silver Lake area of Upper Deer Valley, have been strong, with three more sales (22) through October than same period last year. Empire Pass condo sales volume has dropped 20%. Excluding Empire Pass and Stein Eriksen Residences, there are now only 30 resale condominium properties on market for Buyers to choose from in the Silver Lake area. Click this photo below to see all current Silver lake area condo listings! The brand new Stein Eriksen Residences are the leading Silver Lake Story, with $200m in closed and pending sales under contract. To provide perspective, this is about 20% of a typical good year's entire Park City/Deer Valley real estate market... In one ski in/ski out development! BTW, two have already closed at $7M each, with the rest scheduled to close sometime in 2016. That's going to skew next year's market stats! 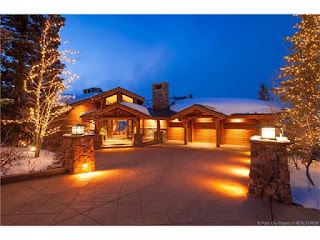 I proudly represent Buyers and Sellers in the Deer Valley Real Estate market. Contact me any time for further info, a quick question, or to refer an associate!